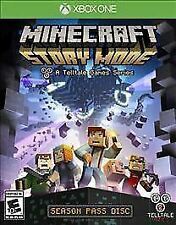 Minecraft: Story Mode- The Complete Adventure Xbox One Game (DIGITAL COPY) NEW!! Minecraft: New Nintendo 3DS Edition. Actual product received could be slightly different than what picture shows. Certain publishers have opted not to include physical manuals. Create and explore your very own world where the only limit is what you can imagine. Windows 10 Edition, PC version of Minecraft. Platform: PC (Windows 10 required). Require to have Windows 10 as operative system to run/play. IMPORTANT: This is PC only version! Enter received key and redeem. Copy-Paste your code. Once logged in. 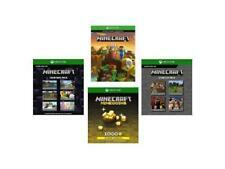 Minecraft Starter Collection Xbox One - Brand New Sealed. Condition is Brand New. MANUALS : the disc/case may or may not contain the original product manual; since manuals are easily found online, many publishers do not even include them. DLC CODES : as with any used disc product, any DLC provided is most likely to have been used. I will send you information and instructions on how to set up the account. How do I receive the account?. 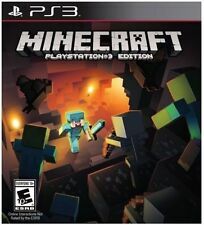 Minecraft (Sony PS Vita) NEW Factory Sealed. Condition is Brand New. 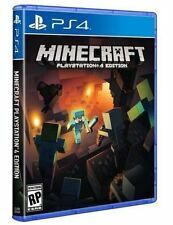 Minecraft [Sony PlayStation 4 Edition, PS4] Brand New, Free Shipping! We are quick to respond and always happy to help. Play Today Option. Download card only. Not a disc. MINECRAFT PREMIUM ACCOUNT JAVA EDITION. PREMIUM ACCOUNT. 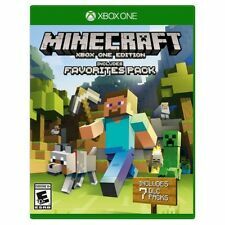 Minecraft Xbox One Edition Includes Favorites Pack Bonus (Xbox One 2016) SEALED. Make: Nintendo. Check with the manufacturer for more warranty information. Such a place awaits you and your friends in the creative world of Minecraft. 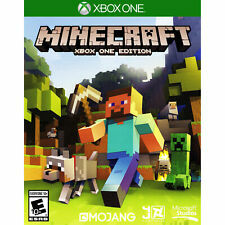 Minecraft: PlayStation 4 Edition lets you live out your creative dreams by building, exploring and more with even bigger worlds and greater draw distances. It runs on Windows 10 PCs and tablets, as well as the HoloLens. How to use?. This is PC only version. Need to have Windows 10 as operative system to run/play. 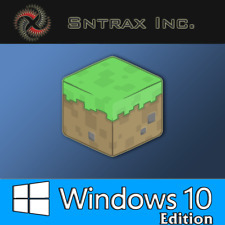 Windows 10 Edition (Minceraft PC only version). 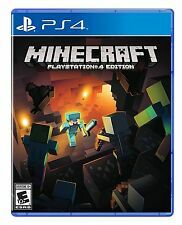 PLAYSTATION 4 PS4 GAME MINECRAFT BRAND NEW SEALED. Condition is Brand New. Shipped with USPS First Class Package. Returns on Un-Open Games Only. Thank you. Millions of crafters around the world have smashed billions of blocks - now you can join in the fun on Windows 10! Pistons, comparators, repeaters, dispensers, droppers, and more! Spooky witches and their huts, complete with cauldrons filled with random potions and the ability to dye armor Ocelots! Minecraft for Nintendo 3DS! Condition is Like New. This is a premium Minecraft account sold to be used by whoever wants it. I WILL PROVIDE YOU WITH LOGIN INFORMATION. 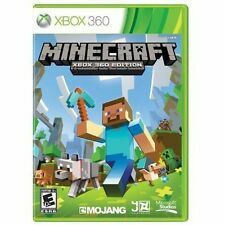 4.5 out of 5 stars - Minecraft: Story Mode- The Complete Adventure Xbox One Game (DIGITAL COPY) NEW!! 20 product ratings20 product ratings - Minecraft: Story Mode- The Complete Adventure Xbox One Game (DIGITAL COPY) NEW!! Minecraft for Playstation 3. Playstation 2. Playstation 3. This item is genuine, original. No Instructions. If you are not happy with it we will work to fix the problem. Just let us know. Build a variety of structures: from havens in haste to grandiose castles! Find materials and make tools, supplies, food and weapons that will help you survive. FEATURES: • Now you can play multiplayer on the local network with 4 friends using Minecraft: Pocket Edition on devices with different platforms. 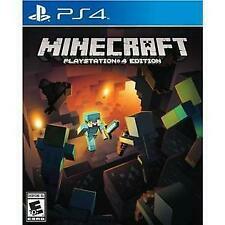 Minecraft: PlayStation 4 Edition. This is not an import. "Minecraft: Windows 10 Edition" is available only for WINDOWS 10! Minecraft - Nintendo Switch. Box and cart are in perfect condition. Will be shipped first class. Trending at $25.72eBay determines this price through a machine learned model of the product's sale prices within the last 90 days. Only playable on a New Nintendo 3DS. Explore randomly‐generated worlds and build amazing things. Platform: New Nintendo 3DS systems only. Number of Players: 1 player. Create and explore your very own world where the only limit is what you can imagine.